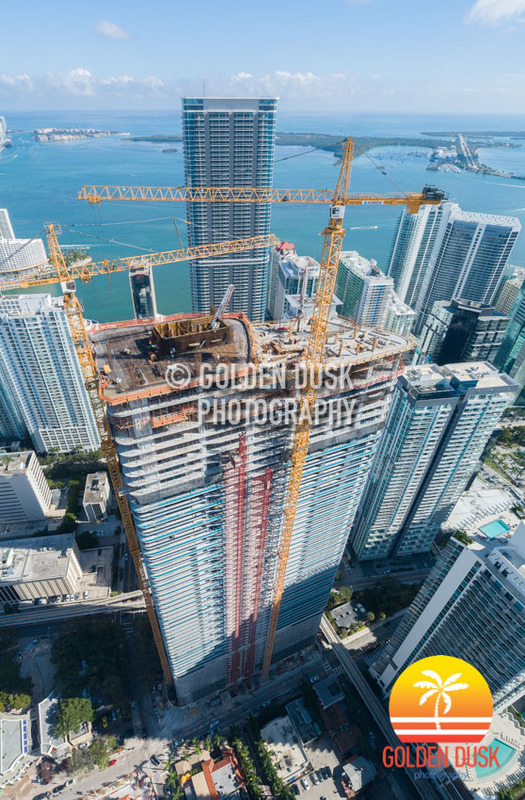 The crane on the West side of Brickell Flatiron is in the process of being removed from the building as the North side crane should come down in early April. 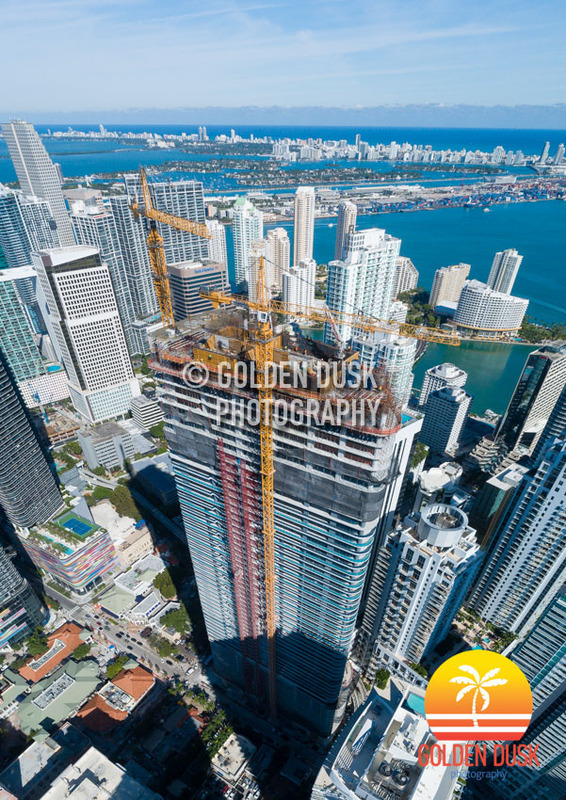 Brickell Flatiron topped off at the beginning of February and is expected to be completed this Summer. 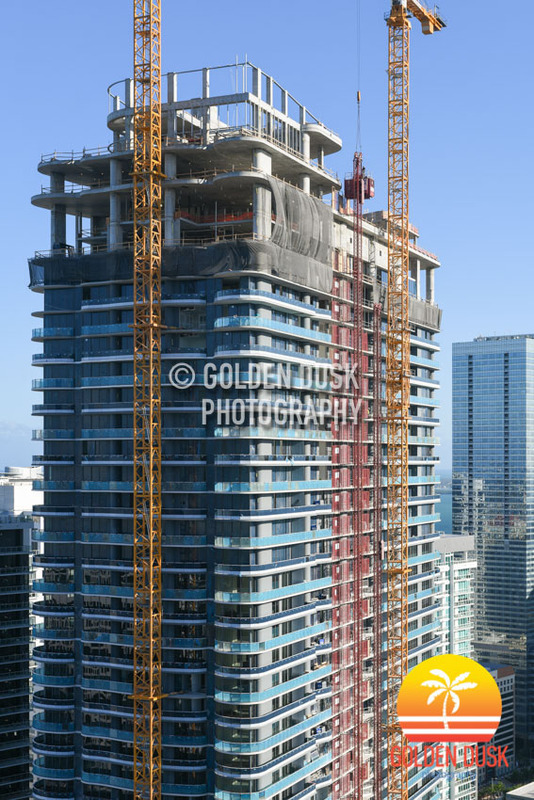 Previous construction photos of Brickell Flatiron can be viewed here. 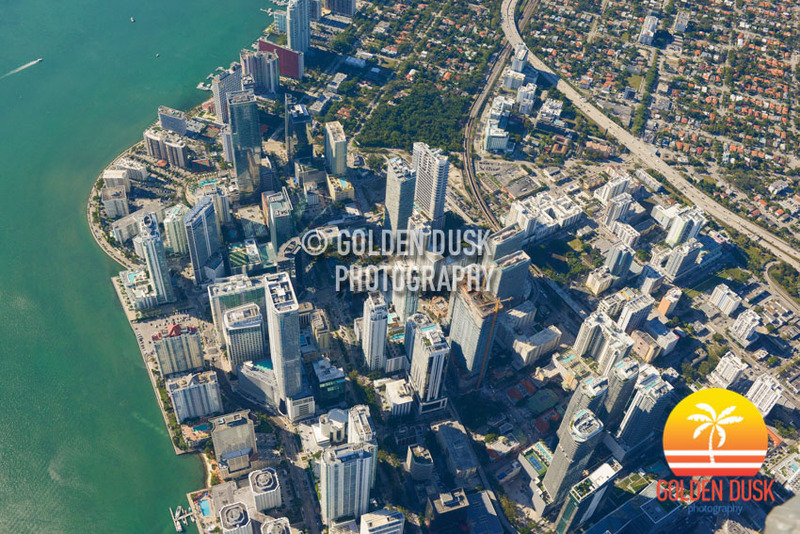 Tags: Brickell Flatiron, Brickell, Miami, Condo, Construction, Luis Revuelta, Ugo Colombo, CMC Group Inc. 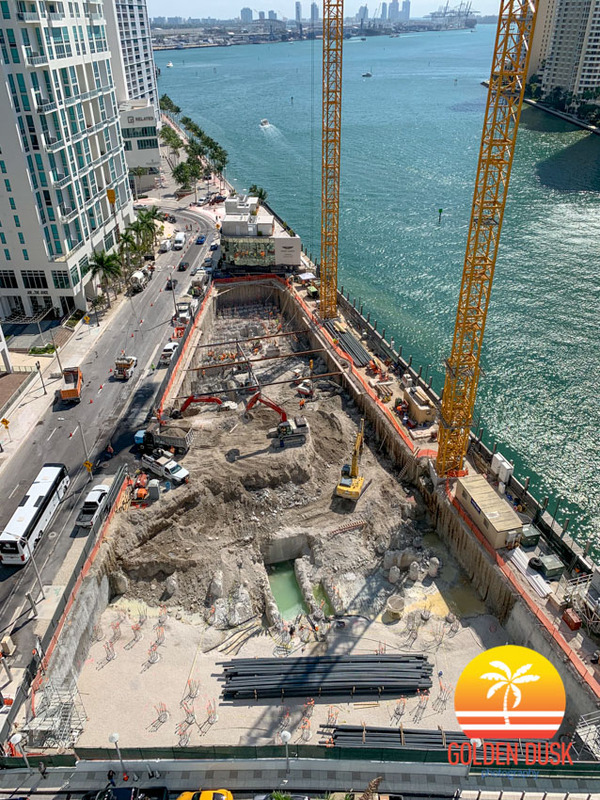 Since topping off in February, the top of Brickell Flatiron is taking shape where the rooftop will have a pool, spa, yoga studio, gym and other amenities. A year ago, construction reached the 28th floor and two years ago, construction was starting to go vertical. 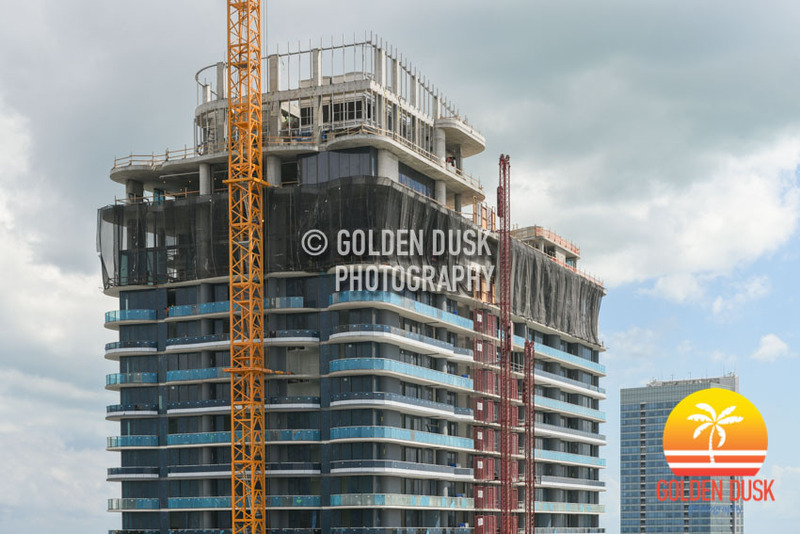 Brickell Flatiron is expected to be completed this Summer. 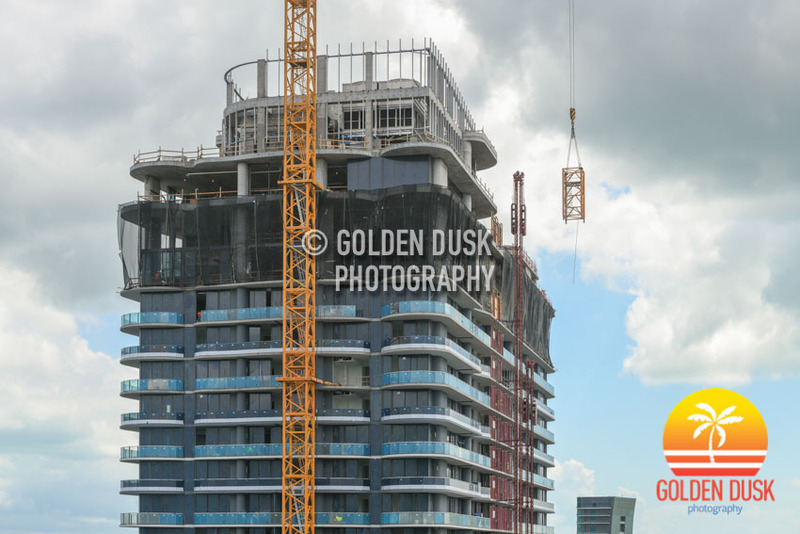 After reaching the 64th floor a few weeks ago, Brickell Flatiron had the official top off party on Friday February 1, 2019. 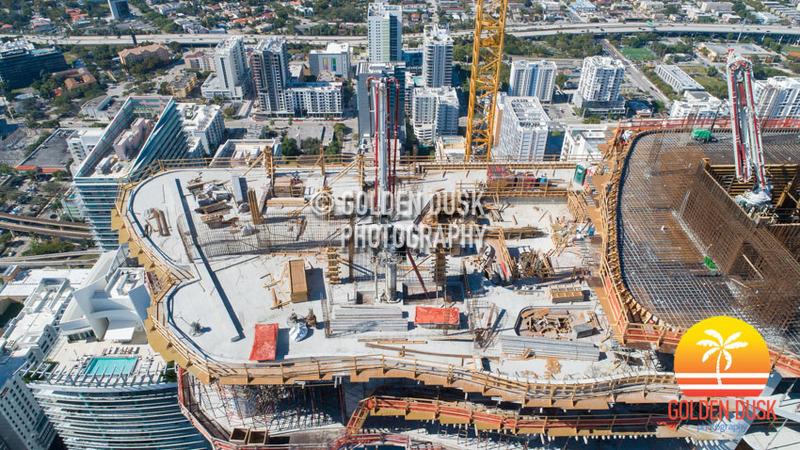 Brickell Flatiron is expected to be completed in July/August of this year. 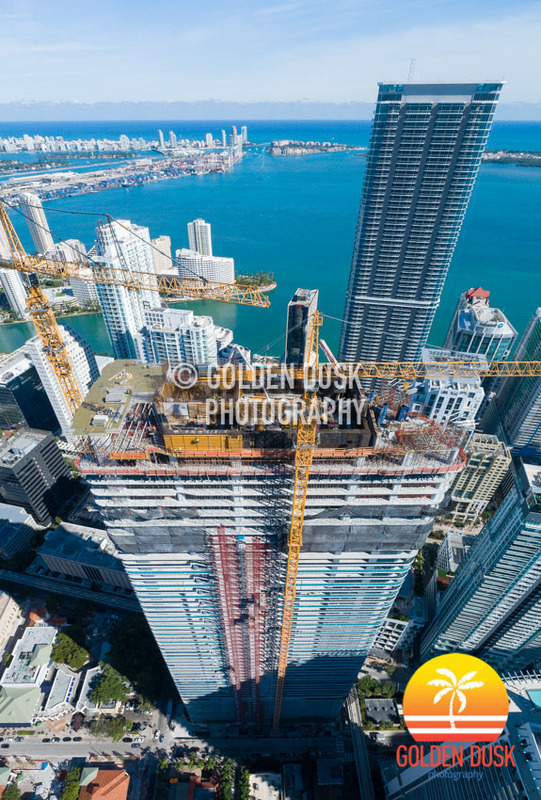 Brickell Flatiron has topped off at 64 stories as the building reaches its final height of 736 feet. 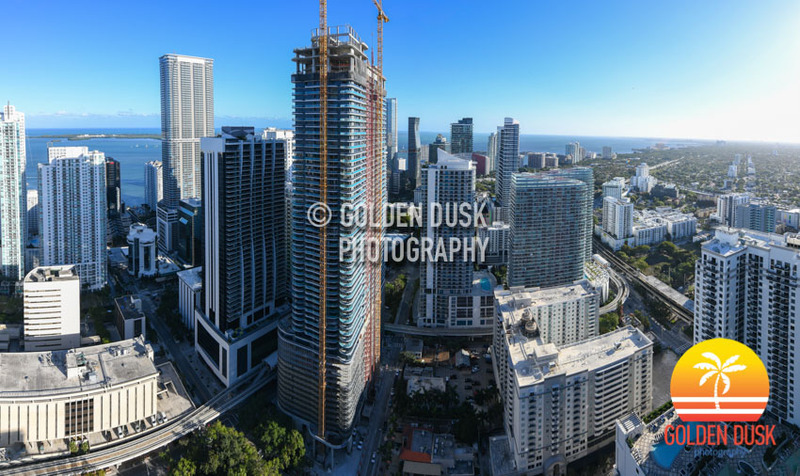 In April 2018, Brickell Flatiron just surpassed the halfway mark of construction at 32 stories. A year ago, construction reached the 21st floor as the construction passed the parking levels and 19th floor amenities deck. 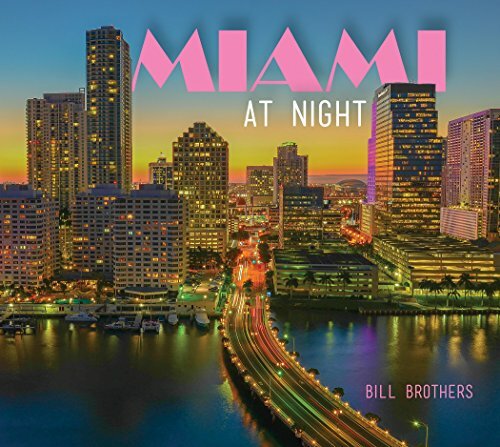 Brickell Flatiron is being developed by CMC Group and designed by Luis Revuelta. The building is expected to be completed July/August of this year. 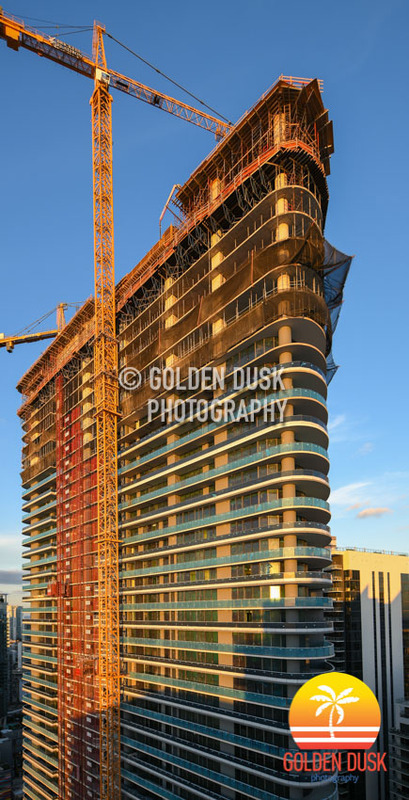 Previous photos of Brickell Flatiron since the start of construction can be viewed here. 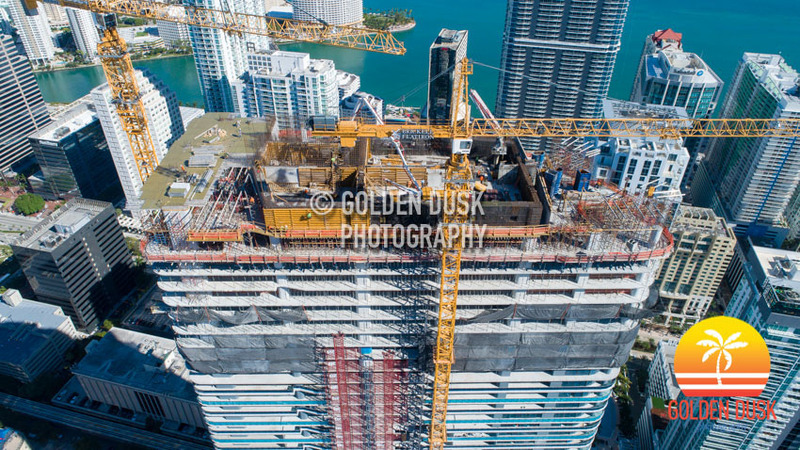 Brickell Flatiron continues to rise to its final height of 736 feet as the luxury condominium is expected to top off next week December 15th after breaking ground March 2016. When we looked at the project last month, the building was on the 62nd floor and a video was made showing a finished unit in the building. 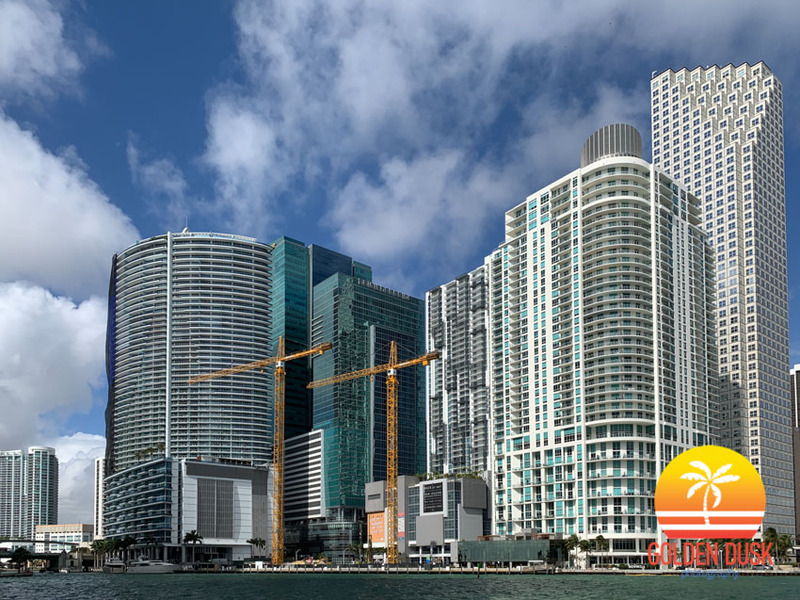 Brickell Flatiron is being developed by CMC Group and designed by Luis Revuelta and is expected to be completed Summer 2019. 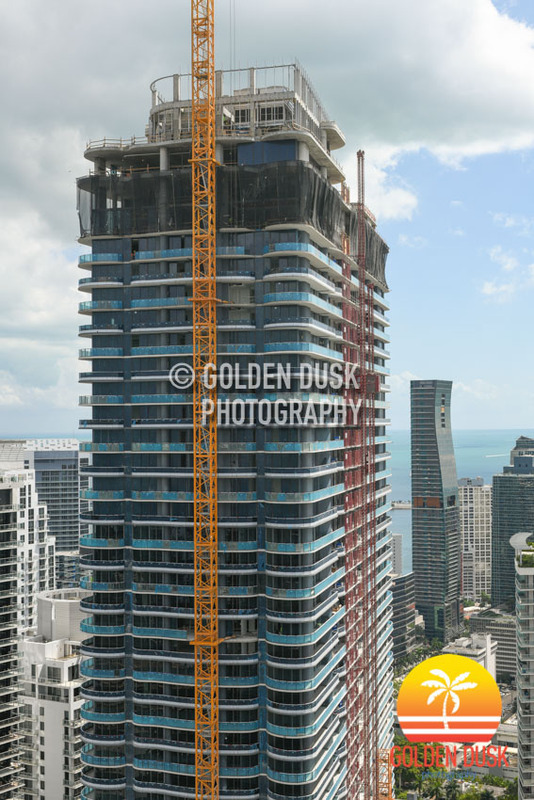 Previous construction photos and video of Brickell Flatiron since the beginning of construction can be viewed here.